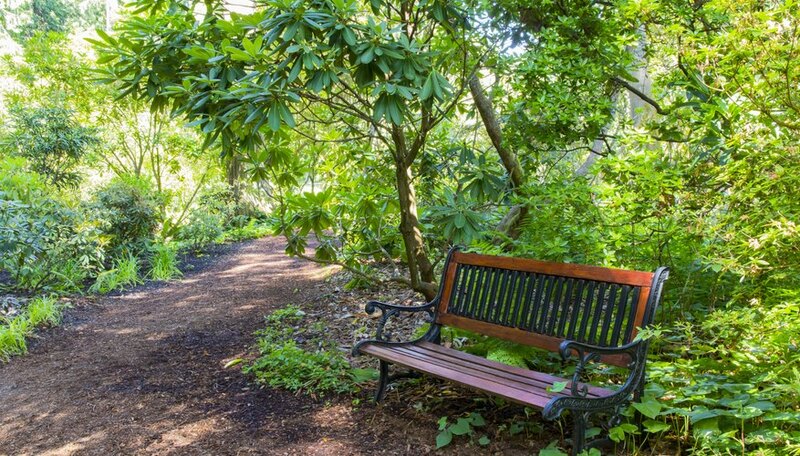 Shrubs that tolerate wet soil provide planting solutions in poorly drained areas of the garden, and many varieties also offer flowers or interesting foliage. Evergreen shrubs provide year-round color, and deciduous shrubs often feature colorful fall leaves or berries or fruit that persist through winter. For the best results, select shrubs that thrive in the available light, such as shrubs that prefer full sun for spots with at least six hours of direct sunlight, or shrubs that thrive in partial shade for areas that receive four to six hours' sunlight. Sunny, wet sites in warm areas of the U.S. provide a home to a range of decorative shrubs. Small anise tree 'Florence' (Illicium parviflorum 'Florence') provides yellow- or white-speckled, olive green leaves and small, bell-shaped yellow summer blooms. An evergreen shrub, 'Florence' is hardy in U.S. Department of Agriculture plant hardiness zones 7 through 10, and grows 6 to 8 feet tall and 6 to 9 feet wide. 'Florence' also tolerates growing wet sites located in part to deep shade. 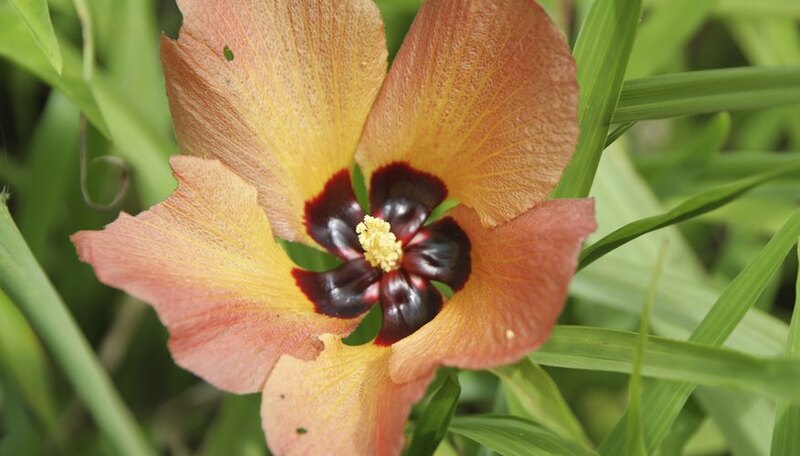 Mahoe (Hibiscus tiliaceus) features year-round funnel-shaped yellow flowers with dark maroon throats. The blooms last one day, turning dark red and falling by the evening, to be followed by dry brown seed capsules. Growing 12 to 25 feet tall and wide and hardy in USDA zones 10 through 12, mahoe also offers heart-shaped leaves 8 inches long and 6 inches wide, which are hairy and gray green below and bright green above. Mahoe has the potential to be invasive. Partial shade is no barrier to growing beautiful flowering shrubs in warm USDA zones. Purple anise (Illicium floridanum) bears dark red, nodding flowers 2 inches wide in spring, followed by star-shaped fruit. This evergreen shrub is named for the anise scent its leaves -- dark, olive green and 6 inches long -- give off when crushed. Hardy in USDA zones 7 through 10, purple anise grows 6 to 10 feet tall and 4 to 8 feet wide. Hardy fuchsia (Fuchsia genii) offers arching red stems and lime-yellow leaves. Pendulous cherry red and purple flowers that attract hummingbirds appear in summer. Growing 4 feet tall and wide, hardy fuschia is hardy in USDA zones 7 through 9. Hardy fuchsia is deciduous. 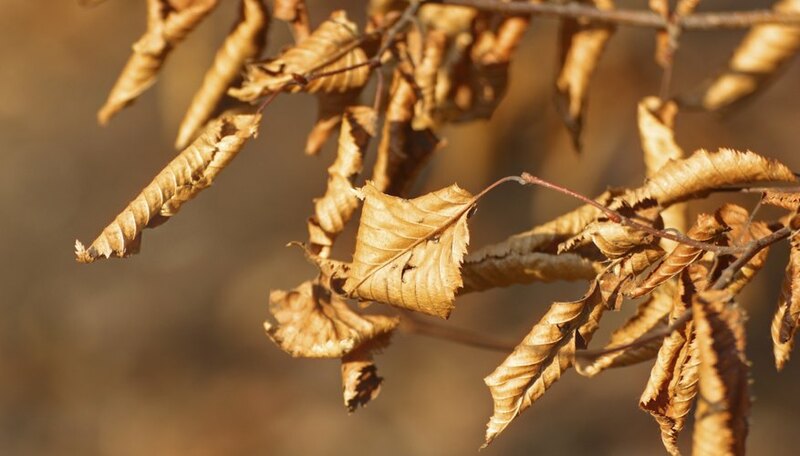 Sunny spots brighten colorful fall leaves and winter stems in cool or cold climates. Summersweet 'Batsto Blush' (Clethra alnifolia 'Batsto Blush') is named for its peach or pale pink blooms, which are followed by dark brown seed capsules that sometimes last into winter.. Also called sweet pepperbush 'Batsto Blush', this deciduous shrub features glossy dark green foliage that turns golden brown or yellow in fall. 'Batsto Blush' is hardy in USDA zones 3 through 9 and grows 3 to 4 feet tall and 3 to 5 feet wide. Red twig dogwood 'Baileyi' (Cornus sericea 'Baileyi') is hardy in USDA zones 3 through 8 and grows 6 to 10 feet tall and wide. In fall, the leaves turn red then orange before fading to purple, and after the leaves drop, the stems turn bright red. 'Baileyi' also offers flat-topped clusters of tiny fragrant white spring flowers followed by white fruits, which attract birds. 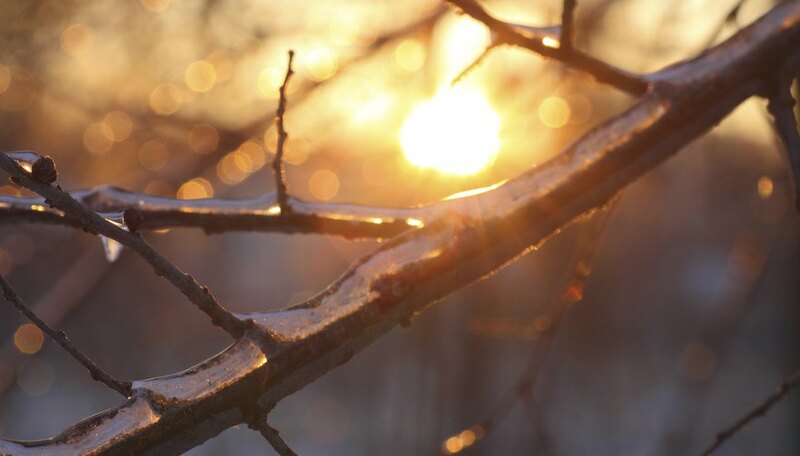 Cool and cold climates provide the best growing temperatures for some shade-loving shrubs that tolerate wet soil. Bottlebrush buckeye (Aesculus parviflora) bears white tubular flowers in long clusters resembling bottle brushes, up to 12 inches long. The blooms are sometimes followed by husks containing glossy, inedible nuts, and the leaves in turn yellow in fall. Growing 8 to 12 feet tall and 8 to 15 feet wide, bottlebrush buckeye is hardy in USDA zones 4 through 8. Smooth hydrangea 'Annabelle' (Hydrangea arborescens 'Annabelle') features white flowers in rounded heads 8 to 12 inches wide, which appear for two months through early summer and sometimes repeat in fall. The leaves are dark green above and pale green below, and yellow in fall. 'Annabelle' is hardy in USDA zones 3 through 9 and grows 3 to 5 feet tall and 4 to 6 feet wide.